I am creating this guide for the players who have just joined or are still trying to grasp at what to do on the website. I understand not all might benefit from this, but I am creating this with the hopes that it will be helpful to few . Luckygames.io hosts 5 games and 68 currencies (At the time of making this guide). New coins keep on adding up and there would be more coins on the platform by the time you are reading this post. The site at first glance shows up as in the image below. Your to-do activities should begin in this sequence. 1. Set username: Pick a username which will hence forth be your identification on the website. Once you have set it, the LuckyPlayer16278017 will be replaced by what you have chosen. 2. 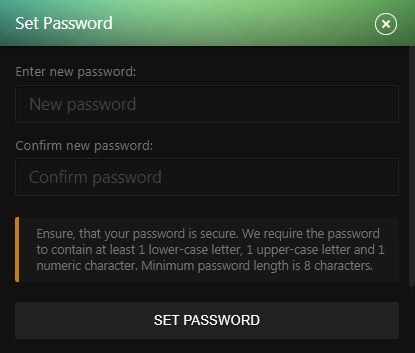 Set password: To improve your security on the site, it is mandatory to set a strong password. Also, once you have set it, you get an option to enable 2fa security. I recommend you enable it, since it is an additional layer of security and you can never have enough options for safety. 3. 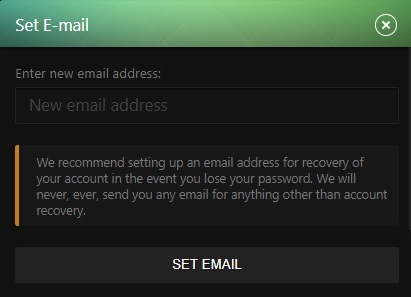 Set e-mail: This is mandatory so that you can recover your account in case you forget your password. 4. 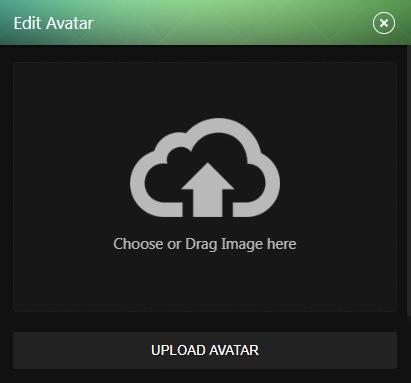 Set avatar: Its better to pick any image and upload it. Many an event conducted on the site, make having an avatar compulsory. CONGRATULATIONS! you have now completed the pre-requisites to commence your fun filled ride on the site. Next comes to increase your familiarity with the different settings on luckygames. 2. Sound: You can turn off the game sounds from here. Notifications, messages and friend request sounds cannot be disabled from here. 3. ECO mode: When OFF, you can see all the bets at real time and continuous update takes place on the browser but for some this causes a lag or slows down their pc. So when you turn it ON, the updates are less frequent. But it improves the performance of the site on your pc. 4.Animation: Each game has some graphics on display to give you a quality experience with visuals. Their benefit is limited to a visual improvement. So, its for you to decide if you wish to see the visuals or keep on playing without them. Less visuals if you looking for speed in a game. 5.Hot Keys: You have the option to use keyboard shortcuts when playing game manually. If playing on AUTO mode, these shortcuts are unnecessary. 6.Jackpot: The number keeps on increasing as more and more players try to hunt for jackpot. If you click on that you can see the requirements to be fulfilled to hit jackpot. Every coin has a different bet amount. So every time you change a coin in any game, you can click on this and see the requirement. Next are the options in the left side. As you can see from the notification towards the bottom right, the site provides you with 500 lucky tokens in the beginning. Lucky tokens are specific to this site and as of now, can only be used in store (link available at the top of the site page) to exchange for vip/legend tags or products on offer. You have the option to receive bitcoins against the value of the product. Depending upon the feedback and opinions, I am prepared to create introduction guide for each game if it is felt necessary. The highest level achievable is 100. Your level is indicated on your avatar. And their are 10 categories listed as below. Each of this category increases your level by 10 when it is maxed. You can reach this page by clicking on your username, which opens up a page like this. You will first have the activity page, where you can see your game chat wins and rains made by you or big bets won. Next is the Statistics which shows all the coins on luckygames and your total wager in each of them and profit/loss statement. Any balance is shown towards the left under available balance. And next to Statistics is Level. When you click on that you can see your current level and the points required to reach the next level. You have to try and max all the categories as listed below. The easiest category to fill the fastest is betting level. Pick your lucky tokens and leave them on auto setting in dice. Your level will reach 10 as the bar for betting level gets maxed. And please be aware that you are free to open multiple tabs for different coins betting. So, you can keep one tab only for lucky and work on other coin you deposited in second tab. Lucky tokens do not count towards wagering level since they do not have any value in exchange. You can hit lvl 2 just by placing 1,000,000 bets. That opens you the chat option as well . MandyViki Thanks for making this step-by-step guide for newbies. It will help a lot to understand the functions of the game. Well done. Hey, good work @MandyViki I like the detail information mentioned, well explained. Am sure this will help out new users, or we can just share this forum link to new users on chat. great post for newbies ! nobody help me wen i star luckygames. Thank you for this, very helpful for me. very nice tutorial, thank you guy. I know what I didn't know. Thank you. Excellent guide for beginners, my congratulations, with this it facilitates the understanding and orientation to all the players. Massafera Hello, please use only English language except local sections, so everyone can understand easily. I have edited and translated it for now. Very useful information, pity that came too late, just had to walk or ask the players.